How do big companies choose who to target in their marketing strategies? What do they look for before making the final decision about who their true target group is? Are there any rules they have to follow? In general, companies’ main business goal is certainly to get as many loyal customers as possible and to make their customers their true fans (word “fan” derives from the word “fanatic”), but what do we need to know about all of that? It looks like big companies with enormous marketing budgets, that spend a couple hundred million dollars on marketing every year, can freely handle that money and put it anywhere they want without any responsibilities. The problem is that it really frightens me and I am seriously worried about the future of the most vulnerable target group among all of us – the children. According to the “Buy buy, baby” book research, 50% of all children ads in USA are for candies, snacks, sugary cereals and fast food, so it’s no surprise that Americans spend more than 6 billion US dollars yearly on holiday candies only and that over 1/3 of American children are overweight or obese. This shows how marketing activities targeted directly to kids can affect their lives and it’s something that we should definitely pay more attention to in the future. And what about the indirect advertising? As we get older, our advertising defense mechanism (our natural spam-filter for ads) becomes stronger and stronger, and that’s why companies target kids as soon as they become conscious about their social environment. Maybe even before that. Making children become your loyal customers is a business success that will last for a long, long time, even when they grow up. The results of a research that was done in 1944 in USA and that was repeated back in 1964, both times said that the grown-up research subjects used at least 23% of the products that they used when they were kids. 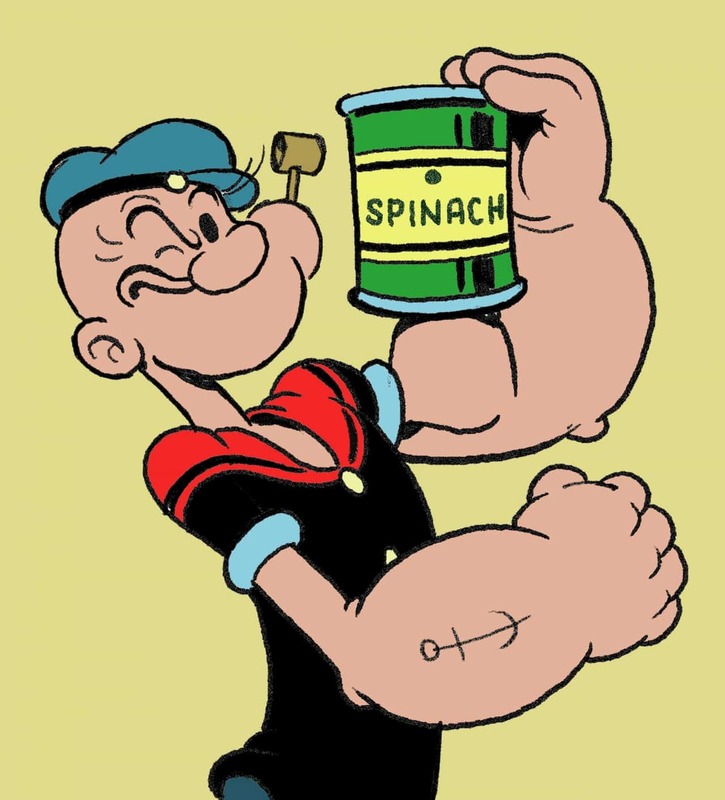 Products that are most likely to become a habit for children are ketchup, mayonnaise, tooth paste, coffee, pain relief pills, soap, perfume, makeup products, beer and cigarettes. Big brands want to get into kids’ heads and to stay there. They want to make kids their loyal fans forever. Of course, that vulnerability and the fact that children aren’t as ad resilient as adults is used in many wrong and unethical ways by the marketing experts (scary, right?). There are many rules when it comes to this type of marketing. 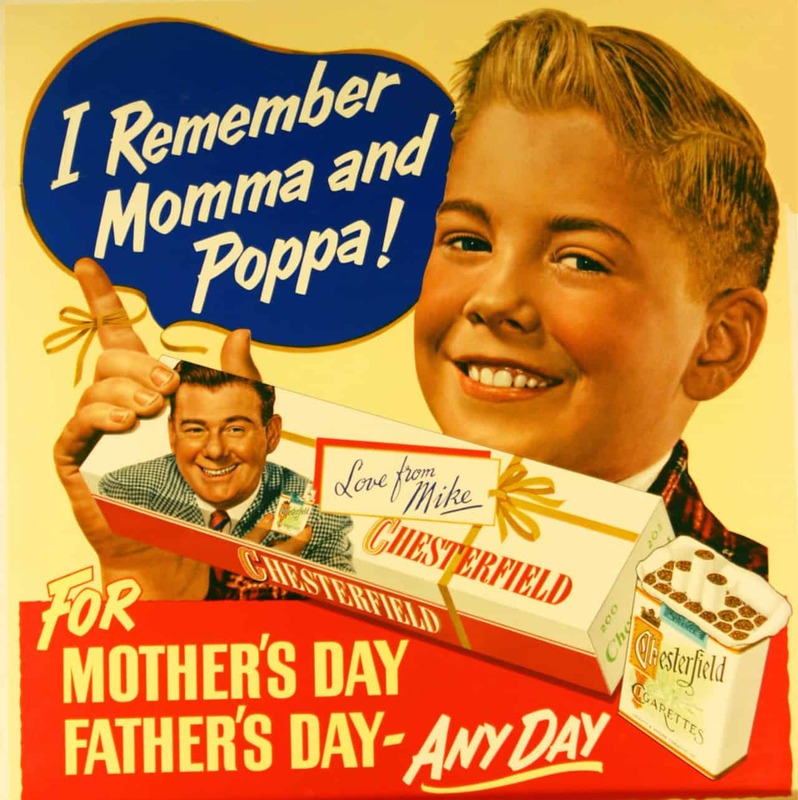 Advertising to children is completely restricted in Great Britain, Greece, Belgium and Denmark, and in Sweden and Norway advertising to children under the age of 12 is illegal. In USA the Federal Trade Commission studied the issue of advertising to children in the 1970s but decided against restricting it. 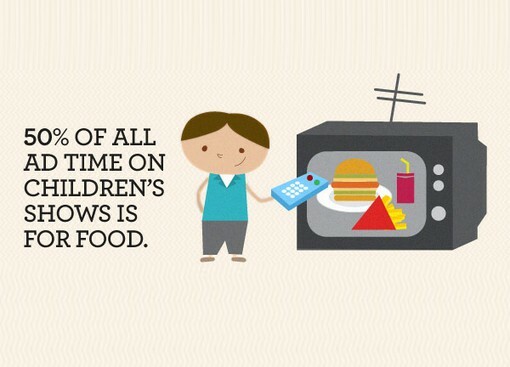 According to the American Academy of Pediatrics (AAP), the average American child watches about four hours of television a day and sees more than 20.000 commercials each year, often for high-fat, high-sugar and high-salt snacks and foods. By the time children in USA finish high school, they have spent nearly twice as many hours in front of the TV than in the classroom (source: Advertising Educational Foundation). All of this sounds even more serious when the recent evidence that some tobacco companies have specifically targeted teenagers between the age 13 and 15 for their marketing campaigns, has emerged. 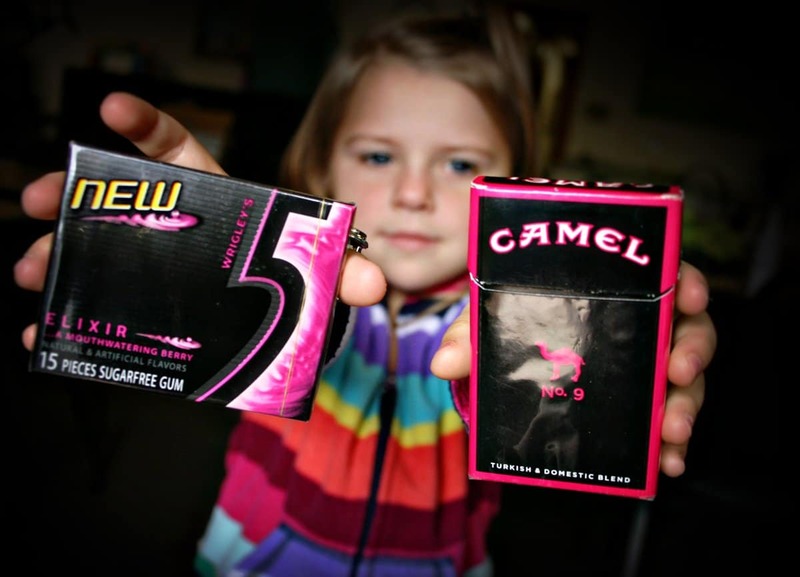 A child holding a pack of gum and a pack of cigarettes. Which is which to her? 15 percent of stores selling tobacco were located within 1,000 feet of school. Children markets can be reached in so many good, inspiring and funny ways and reaching out to them would be of a great value for the big companies because, by The Economist, children under 14 influenced as much as 47% of American household spending in 2005, amounting to more than 700 billion US dollars. Hey, big companies! That’s a lot of money! 1. Kids primary market – what do kids buy with their own money? 2. Kids influence market – how do kids affect the buying habits of the decision makers (their parents, grandparents etc.)? 3. Kids future market – what will kids buy when they grow up? Marketing experts understand what amount of money kids get to spend, what do they need, and what do they truly want. They’ve learned how to think like kids and how to approach them like kids. 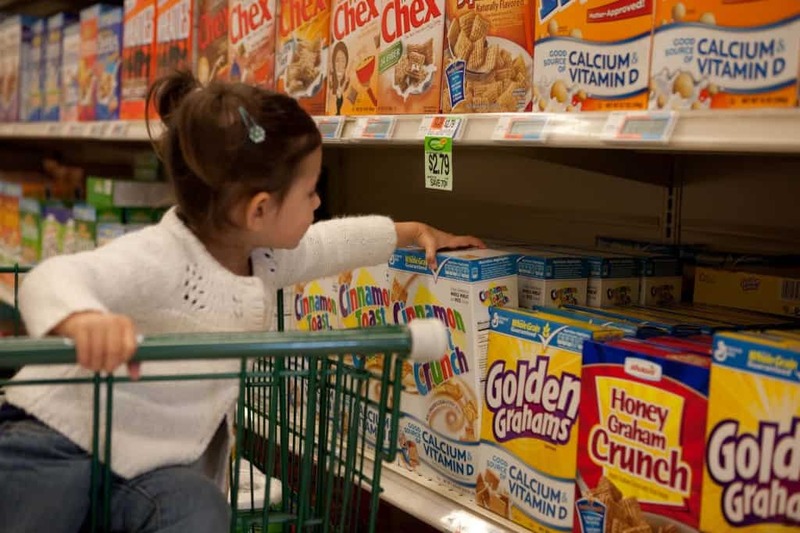 Due to a higher number of divorces and due to longer working hours of their parents nowadays, kids get a lot more home responsibilities and are in charge of buying a lot more products then they were before, so that’s also something companies pay close attention to. Internet segmentation that’s being done by implementation of the new TLDs is maybe a good way to protect children online. The goal of the new Top Level Domain program is to separate the internet into different niches to make it easier for internet users to get where they want to get when online. They are trying to increase the competition and consumer choice on the internet and that’s something we should all strive to, especially because of the safety of our children and their future on the internet. Domain .ME, as a socially responsible company, supports its colleagues at nTLDs for all of the above reasons!